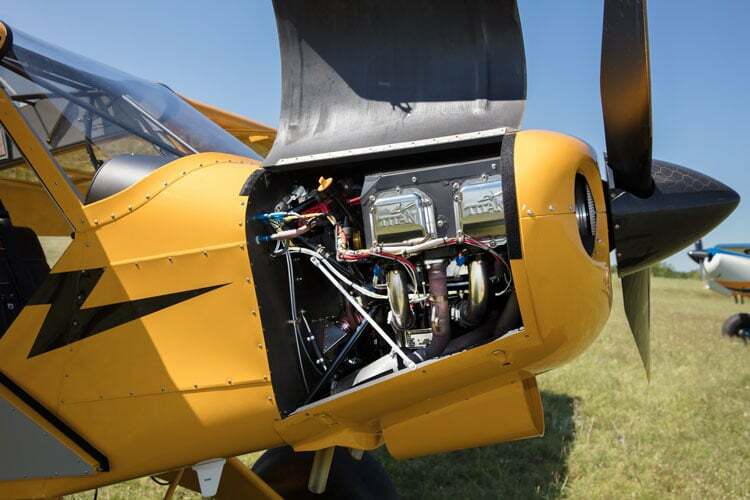 The airplane is equipped with a Titan engine and an optimized, fixed pitch Catto propeller, which is said to perform extremely well on take-off, while also offering solid cruise performance without "over-revving the motor." 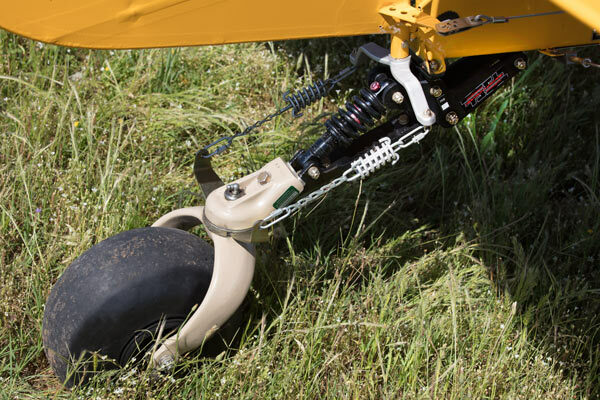 The new Super Legend XP offers a variety of enhancements and modifications. 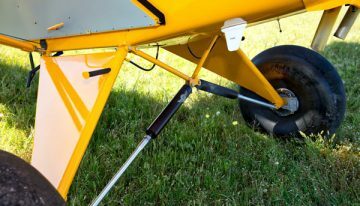 The landing gear also comes equipped with Acme Aero Shocks, offering additional comfort and control during taxiing and landing. 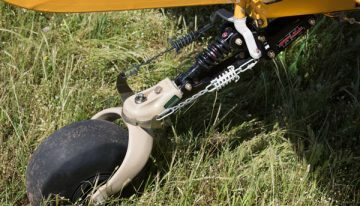 A range of Grove tundra tires, from 8.5 to 31 inches (that’s quite the range…), paired with Grove brakes, with a choice of either heel or toe brakes. 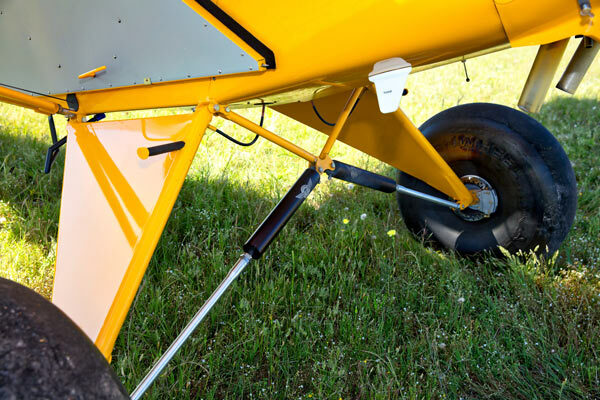 A T3 Tailwheel Suspension System, which replaces a customary static leaf spring with a dynamic coil spring to provide impact cushioning and limit rebounding. American Legend notes the T3 system works with Scott and ABI baby bushwheels. 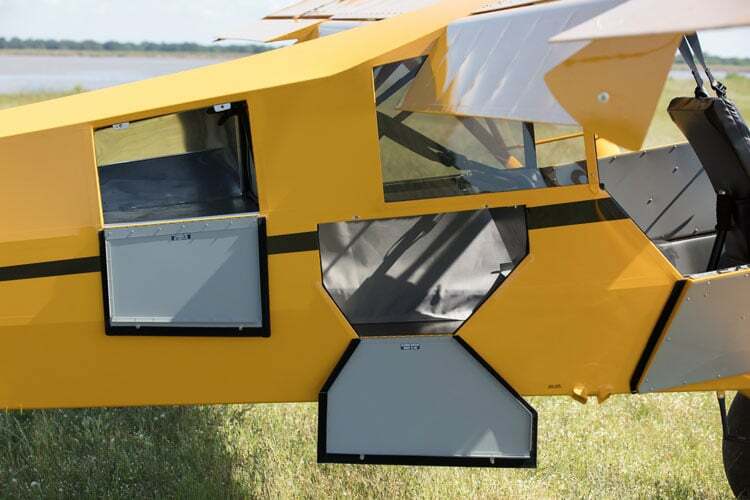 An L-21 style extended read window, and a skylight, to offer a less obstructed view to pilots. An extended baggage area to allow for the transport of lengthy and bulky gear in the tail section. 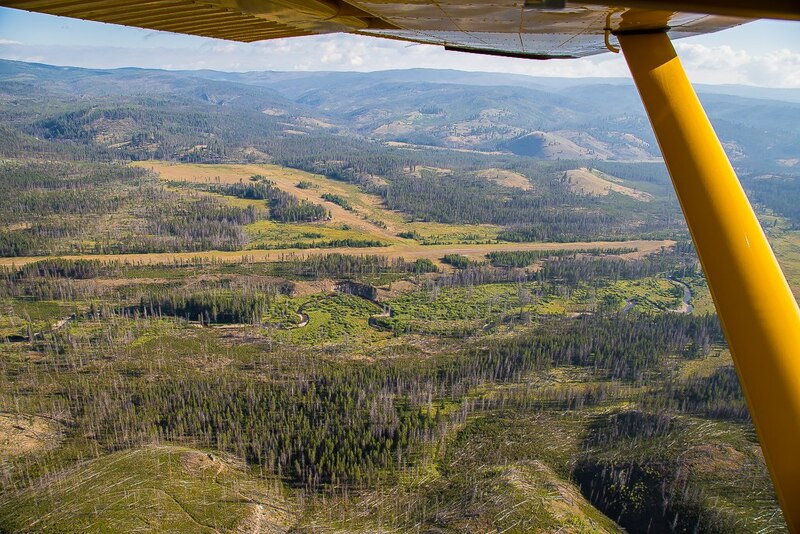 Photos courtesy of Jim Wilson Photography and American Legend Aircraft Company. 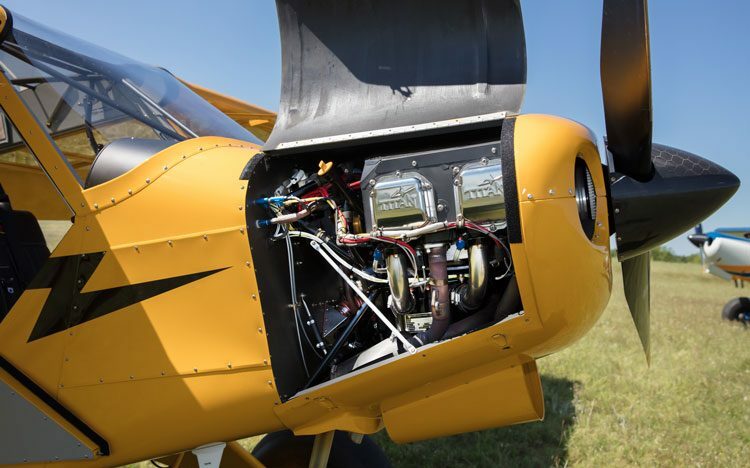 More information can be found on the American Legend website, or if you happen to be in the Oshkosh neighborhood next week, you can see the entire Legend Cub lineup at AirVenture, in booth number 356 in the Main Aircraft Display. Featured Image: Super Legend XP, courtesy of Jim Wilson Photography and American Legend Aircraft Company.